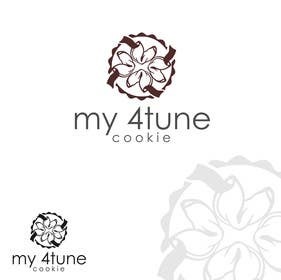 Logo Design for "my 4tune cookie co"
The guy that does backstage business won the contest... nothing new, when you can't &quot;play&quot; by the rules. check #196, I can change anything upon request. how about #189 - you can see it now as a big sign!!!!! Hi, please check, thank you! Please see private message regarding #70, thanks. please note that for any new entries and for those who have not been rejected we would like you to remove the co from the name. ok. i initially liked your entry #15 as its simple and direct. the message sticking out of the cookie was not necessary and also the color seclection. That could be removed and the colour can be changed easily. Please don't judge an entry by the colour, judge it by the actual "design"
thanks for your submission. your design is a bit more classical and does not reflect the name and image we are looking for. Please rate and give feedback for #15, thanks. you have put 2 weeks and your in a hurry? ?